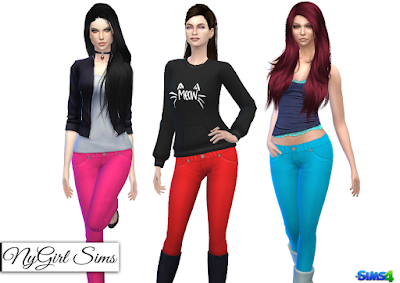 My game was in need of some good bright colored skinny jeans so I have created these. 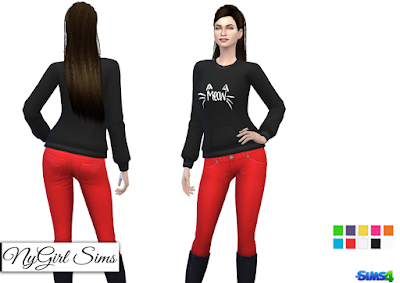 I simply swapped out a boot leg jean texture (that I by far prefer) and slapped it on the skinny jean mesh. 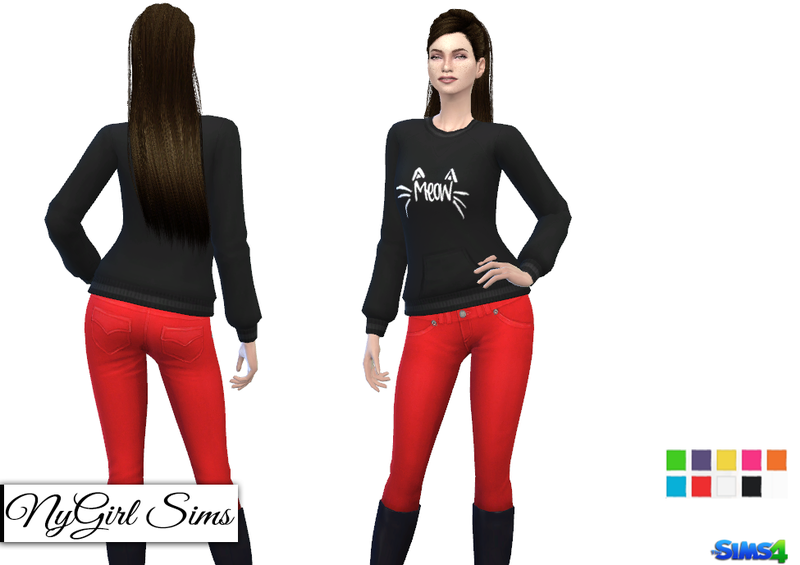 Made from TS4 textures and comes in 7 bright colors as well as the oh so versitle white and black.